The top tourist attractions in Cyprus provide the country with a unique travel experience. Cyprus is a tiny island country on the Mediterranean Sea located south of Turkey. It appears to be part of Asia but is actually part of Europe. Today, Greece and Turkey are in control of different regions of the country and create a multicultural atmosphere. Pair that with an ancient past, Cyprus becomes an irresistible destination for travelers fascinated by history. Most of the island’s attractions are in Paphos. The old town was the center of Cyprus during Roman occupation. Its main highlight is the 16th century Byzantine fortress known as the Paphos Fort. It was built by Alexander the Great to overlook the harbor. And now the whole of Paphos is a UNESCO World Heritage Site. Other places to see here include the Rock of the Greek which aside from its legendary associations with the Byzantine frontier guard Digenis Akritas, it’s the site of a beautiful white sand beach that has inspired poets and painters including the Birth of Venus by Boticelli; musuems like the Paphos District Archeological Museum and Paphos Ethnographical Museum; the Villa of Dionysos and its magical mosaic pavements; and religious buildings such as the Chrysorrogiatissa Monastery. 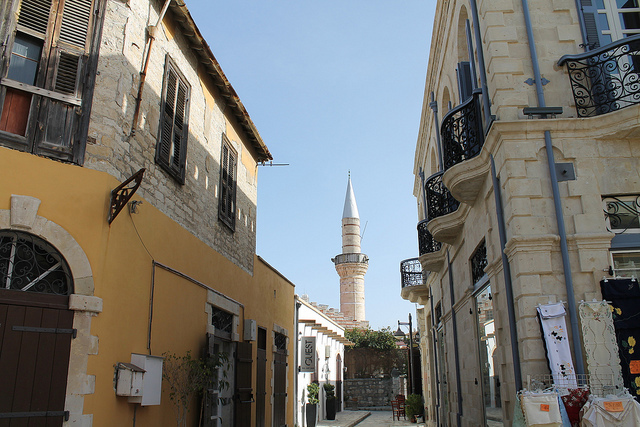 Limassol draws its charm by combining the old and the new. It is where historical attractions can be just as accessible as shopping centers. Formerly the headquarters of the Templars and Knights of St. John, there are many attractions here. One of the top tourist attractions in Cyprus found in Limassol is the 14th century fort. Today, it houses the Medieval Museum of Limassol. The beachside promenade is another interesting attraction here. The Limassol District Archaeological Museum is a great place for seeing antiquities dated between the Neolithic Era to Roman Period that were uncovered in the region. Tourists also come to Limassol for its beaches and the Carnival. Nicosia, despite being the capital of Cyprus, gets fewer visitors because of its inland location. That being said however, there are actually many interesting tourist spots to see here. One of them is St. Sophia’s Cathedral from the 13th century. It is a Gothic cathedral where numerous Cyprus kings have been crowned. Now, it is known as the Selimiye Mosque. Hamam Omerye which was once the site of the 14th century Augustinian church of St. Mary is now a Turkish steam bath. It is architecturally significant to the Middle East and has become one of the top tourist attractions in Cyprus. If you’re looking for an affordable and good option to visit this magical island, then look into Cosmos Cyprus holidays, they are experts in the island.